Reminder: The 100k sign-up bonus offer for the Amex Business Platinum ends tomorrow. This is a big bonus–worth a lot of money–but it requires a large amount of spending within a three month period. Businesses tend to have large expenses so it’s not unrealistic, but I wouldn’t necessarily recommend opening it unless you can organically meet that spending requirement as Amex is known for clawing back points for manufactured spending. Lounge Access: The best of any premium card. You will have access to Centurion Lounges, the International American Express Lounges, Delta SkyClubs, Priority Pass Select lounges, Airspace Lounges, and Escape Lounges. Eligibility: You can only get each Amex bonus once, so if you’ve had the Business Platinum before, you can’t get this bonus. If you’ve only had personal Platinums before, you can get the bonus. The American Express Business Platinum Card is offering 100,000 bonus Membership Rewards after $25,000 in purchases within the first three months of account opening. That’s a huge spend requirement for three months, so this card is not going to be for everybody. I only recommend applying if you can organically meet that spending requirement as Amex is known for clawing back points for manufactured spending. Read Amex Adds Terms Allowing them to Temporarily Suspend Earning and Redeeming Membership Rewards from Doctor of Credit for more info. Use them like cash to purchase airfare at a rate of 1.5 cents per point. This is technically marketed as a 35% points rebate on Business and First Class cash flights, but it comes out to getting 1.5 cents of value per point). 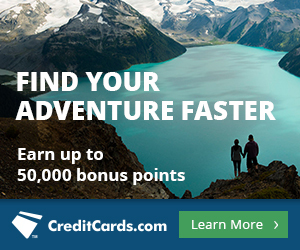 Let’s say you find a roundtrip Business ticket to Europe from the US for $2,000 on amextravel.com. A $2,000 ticket would cost 200,000 Membership Rewards upfront. You’d then get 70,000 Membership Rewards rebated (35% of 200,000). Paying 130,000 points for a ticket that costs $2,000 is getting ~1.5 cents of value per point. There is also a cap of 500,000 Membership Rewards you can be rebated per year via the 35%. Note that points will be credited to your Membership Rewards account approximately 6-10 weeks after charges appear on your billing statement. Transfer them to miles with 16 airlines or three hotels. Then they are whatever miles or points you chose, subject to those rules. The airline partners are awesome because of their versatility. The partners include at least one member of each alliance plus several airlines that aren’t members of any alliance. Singapore miles are awesome to fly a double bed in the sky or to get to Hawaii or South America. ANA has some very cheap awards. Avios are the best for shorthaul, economy redemptions. Others have uses too. Overall, I value Membership Rewards at 2 cents each when redeemed this way, so a 100,000 point bonus is worth $2,000 to me. You will likely get a better value out of your points by redeeming them this way as opposed to 1.5 cents each on Business or First Class flights. Every calendar year, you get a $200 airline fee credit that is designed to offset things like checked bag, change, and cancellation fees, but in practice also offsets gift card purchases from certain airlines. Unfortunately the credit only applies to fees from one airline of your choosing. Designate it when you activate your card. This $200 credit resets at the end of the year. 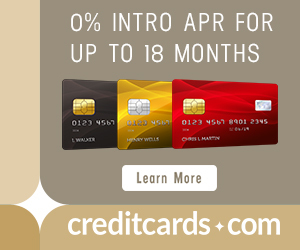 That means that if you got the card now, you’d have about seven months to get the first $200 in credit, and about five months to get another $200 in credit before your next annual fee. That’s $400 in refunded airline fees or gift cards before needing to pay another annual fee. In addition, Business Platinum cardholders are entitled to a $100 statement credit when they pay the $100 Global Entry enrollment fee with their cards. Global Entry is a United States Customs and Border Patrol program designed to let trusted travelers skip the immigrations and customs queues when arriving in the United States. Instead of spending time in line and talking to an agent, you tap a few buttons at a kiosk and get to the curb in a few minutes. Global Entry also lets you use TSA Precheck lines in the US, even on domestic itineraries. Here’s how and why Scott got Global Entry. Global Entry is good for five years, and you can get this credit once every four years. Centurion Lounges are amazing, much better than US airline lounges, though not quite as nice as foreign First Class lounges. Priority Pass is the world’s largest independent airport lounge access program. Business Platinum cardholders get free Priority Pass Select membership, which entitles them to free access to 900+ lounges worldwide. You can bring two guests into Priority Pass lounges. I downloaded the Priority Pass app on my phone, so I can search for participating lounges by airport while I travel. I seem to find one or more options at most international airports and tons of domestic airports. Priority Pass has even added various restaurants and bars to their “lounge collection”, that grant food/beverage credit, in highly trafficked airports where lounges may be too crowded. You’ll also get access to Delta SkyClub lounges, and International American Express Lounges (here’s a review of one I visited in Sao Paulo), Airspace Lounges, and Escape Lounges. The Business Platinum offers 5 Membership Rewards per dollar spent on flights and prepaid hotels through the Amex travel portal. The card also offers 1.5 Membership Rewards per dollar spent on transactions of $5,000 or more. Below are some other valuable perks. American Express Business Cards don’t appear on your credit report, which means the cards don’t count toward your limit of five new cards in the last 24 months to get a new Chase card. Car rental, lost luggage, travel accident insurance and more…read Travel Protection Benefits of Amex Cards for further details. The Business Platinum has no foreign transaction fees. The card has an annual fee of $450, and the first one is due on your first statement. If that is off-putting, you totally missed the part about the $500 in statement credits you can get during your first 12 months, and the bonus points worth $2,000 to me. If you have ever had an American Express Platinum Business card, you are ineligible to get the bonus again. However the Amex Platinum personal card (and all its variants like the American Express Platinum Mercedes-Benz personal card) are considered separate products; having had those cards will not stop you from getting these 100,000 bonus points. Since you can typically only get a sign up bonus from an Amex card once in a lifetime, it’s important to snipe Amex cards when they have a historically high bonus. While Amex has offered this 100k bonus for a lower minimum spending requirement in the past, a 100k Membership Rewards bonus is as good as it gets for this card. There is one exception to Amex’s Once in a Lifetime rule, and that’s targeted offers. While I’m not guaranteeing it (YMMV), sometimes you can get away with opening a repeat card if the offer you are applying for was targeted specifically at you (from within your Amex account online, or through the CardMatch Tool). Post your application results in the comments. If you can spend $25,000 in three months, and have never had the Amex Business Platinum Card before, you should apply for one. The bonus points are worth $2,000 to me, the first year statement credits are worth $500 to me, and the lounge access is incredible. All of that swamps the $450 annual fee in my opinion. Looking for more ways to use your credit card to meet this large minimum spending requirement? Sign up for Plastiq through my referral link and when you make $500 in payments through Plastiq, you earn 500 fee-free dollars (FFDs). That means that your next $500 in payments will be without the Plastiq fee. Plastiq makes it possible for you to use a credit card for practically any expense, even ones like rent that normally require a check. You pay with your credit card and they send a check for you. With Plastiq, it’s easier to earn credit card rewards, tap early-payment discounts, and use your cash in the ways that make the most sense for you.